Clear Books is a company of smart, passionate people who are all focused on one thing: making it easier for you to manage your business’s finances. With over 10,000 customers, we’re on a mission to make accounting clear and simple by eliminating jargon, giving you all the features you need to keep on top of your finances (and no fussy extras that just take up space), plus great customer service from people who genuinely love their jobs. It all started with a chance conversation. Back in 2008, our founder, Tim, was a newly qualified accountant doing research analysis at Arbuthnot Securities. One day, he happened to get talking to a guy about accounting systems. This guy, Paul, had been developing an invoice-driven system for his brother’s construction business, and Tim had made a simple web-based accounting system to help his mum run her theatre school. They were both interested in the other’s project, and talked about how they could combine the two systems. Later that month, Paul and his business partner Brendan invited Tim out to lunch in London. When he got there, they suggested that Tim resign from his job immediately and set up a joint venture with them to create an accounting system. Tim loved the idea, and soon the initial concept of Clear Books was born. 01 July 2009 – Clear Books is officially launched out of beta and begins accepting paying customers! Early adopters get rewarded with discounted subscriptions, and Clear Books gets its first employee. 24 May 2010 The now much larger team moves to a bigger office. Once everyone got a little more space and didn’t have to sit on each other’s laps all the time, we could set our sights on expanding the development team. 22 September 2011 – Clear Books launches an online payroll system for small businesses that’s integrated with the online accounting system. This will go on to help us become the leading online payroll system in the UK. 29 November 2011 – With the popularity of our software continuing to grow, we develop a partnership with the UK’s largest association of professionally qualified accountants. As a result, Clear Books gets recommended to 250 independent accountants, who look after a total of over 15,000 clients. 10 July 2012 – Tim wins the Best Young Entrepreneur 2012 from The Hammersmith and Fulham Brilliant Business Awards. 13th Feb 2013 – Clear Books releases the official Clear Books mobile app for iOS and Android platforms. 1st May 2013 – We launch Clear Books HR, our application that lets you store all your employee data in one place, including holiday requests, sickness and lateness, qualifications, contacts details, birthdays and staff handbooks. 13th September 2013 – Clear Books becomes a public limited company. 23rd September 2013 – Clear Books develops own “cloud funding” platform so customers can invest in the company. 31st October 2013 – We reach our Cloud Funding target of £839,913. 93,950 shares were sold to 737 shareholders. 14 February 2014 – We move again, this time to a brand new, bigger office in Lyric House, Hammersmith. 26 February 2014 – Clear Books is named the Best Cloud Accounting Suite at the UK Cloud Awards 2014 … and the awards just keep coming. 21 August 2014 – Clear Books holds its first ever AGM with shareholders at the Novotel hotel in Hammersmith. 25 November 2014 – Clear Books is named as a Smarta 100 company. 25 November 2014 – Clear Books wins Client Software Product of the Year at The British Accountancy Awards. 1 December 2014 – We go international with the launch of Clear Books NL, our Dutch subsidiary allowing business owners in the Netherlands to take advantage of the many great features of our boekhoudsoftware (online accounting software). 6 February 2015 – Clear Books hosts its first Community Exhibition (CBCE) for small businesses in the Microsoft Offices at London Victoria. 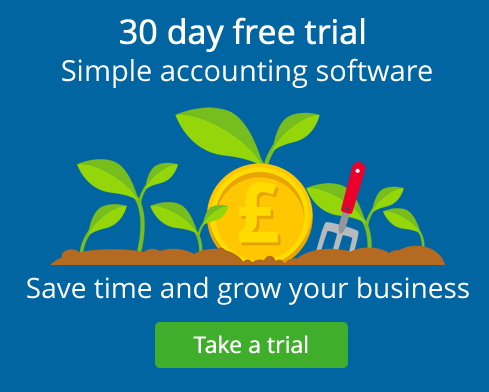 Our cornerstone product, our cloud accounting software helps you manage every aspect of your business finances, from simple accounting to getting your VAT sorted with HMRC. Our payroll software lets you process all of your employee salary information online, in once place. You can create customised payslips that match your company’s style, print and view P45, P60, P11 and P14 forms, plus it integrates beautifully with HMRC and lets you submit real time PAYE information. An HR programme that actually saves you time instead of becoming just one more hassle to deal with, Clear Books HR makes it easy to keep track of employee information. You can instantly get a snapshot of any employee’s educational background and work history, approve or disapprove holiday requests, and control who else has access to this information. Every company claims that it’s different from the rest … but we can back it up! We’re uniquely linked to our customers, who keep us accountable. Through our rounds of “cloud funding”, we’ve sold shares to over 1000 shareholders, meaning that we’re actually part owned by our customers. We take this really seriously, and try to get to know as many shareholders and customers as possible through AGM events, our community forum, and quarterly roundtable discussions in our Partner Forums. We also realise that our customers don’t work in a vacuum, so we provide them with lots of information that might help them out in other areas of their business by hosting regular training events, publishing white papers and research, offering a monthly podcast, and even building relationships with universities and apprentice training firms. We really listen to what our customers have to say, both about our software and the service we give them. And it shows — in 2015, 80% of customers rated their interaction with the support team as “Great”, and our Feefo approval rating is 86% for service and 91% for the product. It’s not just about the numbers though. Whenever a customer has a negative interaction with us, we do our best to turn it into a positive one, whether that means apologising for something that’s happened, letting them know how we’re going to change as a result, or even sending them chocolates! We don’t believe that you can provide a great experience for customers if your employees are miserable. That’s why we do whatever we can to make Clear Books a great place to work, from making sure that our employees always have the best equipment to work with, having flexible start times, and holding a weekly Friday pool tournament complete with beer fridge, among many other things. — Tara Cooper, Marketing Executive. — Ryan Cronin, Sales Executive. — Lizzie Fouracre, Head of Sales, support and marketing. Make your accounting dashboard your own — we allow you to toggle loads of extra features like journals, dividends templates, and fixed asset tools. And unlike our competitors, we don’t charge for these features. We have a dedicated onboarding team that helps customers get started with Clear Books, and we offer weekly training webinars and online help guides to make sure that everyone can get the most out of Clear Books. Our VAT EC sales tool lets you submit your lists of VAT sales to other EU customers directly to HMRC via Clear Books. We don’t believe in a one-size-fits-all approach, which is why we allow you to add unlimited users to any Clear Books account with over 80 different types of permissions, so you can tailor exactly who gets to see what. Unlike our competitors’ products, Clear Books integrates with HRMC to make sure that you stay within Construction Industry Scheme (CIS) rules by verifying sub-contractors and submitting monthly CIS returns. We offer free support for all of our products via telephone, email and live chat, 8am-6pm Monday to Friday, as well as email support on weekends. And we’re not talking about some frustrating back and forth where you have to click through a phone tree or file a bunch of tickets just to get a response; our customer service team is fast, friendly, and genuinely helpful. What’s more, we’re deliberately transparent about our customer happiness, posting live data at https://www.clearbooks.co.uk/happiness. What it all comes down to? We’re fanatical about making accounting easy and simple, eliminating jargon, and offering a user-friendly experience to you. Thomas joined the team in April 2014 as a Digital Marketing apprentice. He likes Clear Books because the company is young, dynamic and has a great atmosphere. On weekends he can be found watching films or down the pub with mates.